At the heart of anti-vaccination activism and the concomitant abhorrent behaviour which has become normalised – for the anti-vaccination movement, at least, due to incitement from standard-setters such as Meryl Dorey, of the Australian Vaccination-skeptics Network, and Judy Wilyman, of the perennial whining and relevance deprivation, and their cast of monsters – sits their fundamental raison d’être: lying about vaccines and disseminating misinformation about vaccines, so as to dissuade vulnerable parents from immunising their babies. What monsters are these, who are committed so barbarically to the death and disfigurement of other people’s children? We’ll get to that. But, first, it it is best to clear up some misinformation about the whooping cough immunisation. One of the best, plain-language mythbusting articles around is this one from Kidspot, written by Dr Rachel Heap and Jenni Bate; it is extensively referenced, using reputable sources and citations: Whooping Cough: Why are we having outbreaks? A study published in 2012 looked at all cases of whooping cough in England and Wales between 1998-2009. It found that there were 39 deaths, 29 of which were in babies less than three months old. They found that most severe disease was in babies between two and three months old, and for them there was a case fatality rate of 4.3 percent (the case fatality rate looks at the proportion of babies with the disease who die from it). In other words, out of every 100 babies between two and three months old who get the disease, up to 4.3 might die from it. In this study, no vaccinated babies died. For older children, vaccine effectiveness (the percentage reduction of disease when compared with unvaccinated people) is estimated to be 68 percent after receiving one dose, but this increases to 92 percent after the second dose, and is more than 99 percent following additional doses. As an alternative way of looking at this, data from the USA in 2012 showed that unvaccinated children were up to 20 times more likely to catch whooping cough than those who were vaccinated. Vaccines are not force fields, and no vaccine can offer 100 percent guaranteed protection, but we do also know that if you do get whooping cough after being vaccinated against it, you’re more likely to get a mild case; you cough less, you cough for a shorter length of time and you suffer less complications. If you’re vaccinated and infected, you’re less likely to have any symptoms (because your antibodies will neutralise the toxin that causes the coughing). And if you’re not coughing and spluttering, you’re a lot less likely to pass bacteria on to anyone else. If you’re unvaccinated, you’re both more likely to be infected, and if infected, more likely to cough and cough and cough (it’s called the 100 day cough for a reason). As previously described, when someone contracts whooping cough, it isn’t the actual bacteria that makes them sick, but the toxin produced by the bacteria that causes symptoms. The current vaccine leads to the production of antibodies against the toxin, and this protects you from getting sick. In addition to the toxin neutralising antibodies, the vaccine also causes the production of antibodies against the bacteria itself (one part of which is called pertactin). These antibodies help the body to recognise the pertussis bacteria when it invades, to help fight it off quickly. Some studies have shown that around 80 percent of cases of whooping cough in Australia were caused by pertussis bacteria which didn’t contain pertactin, suggesting that the bacteria is evolving to evade antibodies against this bit. This means that although the vaccine is able to prevent the person getting unwell (as the toxin is neutralised), the bacteria may still be present (if the bacteria don’t have pertactin, it’s harder for the body to ‘recognise’ it as pertussis). However, as clearly stated in the article, there is “no evidence to suggest that the pertactin free strains of the bacteria are any more dangerous, or whether this evolution has had any impact on overall vaccine effectiveness in either the long or short term”. This is a really important conclusion. In science we observe changes continuously, but until there’s evidence that it’s in any way significant, there’s no reason to suggest that it’s a bad thing. The acellular vaccine is able to prevent you getting sick, and it is able to reduce transmission of disease, and thus it is able to contribute to herd immunity. The evidence from the experts around the world is undeniable; high vaccination rates for whooping cough reduces both the chances of getting the disease in the first place, and means a milder case if you are unlucky enough to get sick anyway. The vaccine we have isn’t perfect, but it’s infinitely better than nothing. Newer vaccines are in development and there are some interesting possibilities. One is a new acellular vaccine with multiple components, which hopefully will not only be safe, but will be more effective than the current vaccine with longer lasting protection. get a booster at least every 10 years if you are an adult, more frequently if you are around small babies. Vaccinating will not only protect you, but it will also help to protect your family, your community and the most vulnerable among us. Catherine and Greg Hughes have been attacked by the anti-vaccination movement from the day their baby boy, Riley, died from whooping cough, in 2015. Toni and David McCaffery have been attacked by the anti-vaccination movement from the day their baby girl, Dana, died in 2009. They are not alone. This is why, only recently, we likened the behaviour of the anti-vaccination movement to that of the Sandy Hook hoaxers: trolls who lie about, vilify and threaten the families of those who were murdered at Sandy Hook Elementary. Malsem (L); Arslan (R). Photo credit: Facebook. Malsem now uses another Facebook profile for her anti-vaccination activities, because she is a coward: Manda Kathleen. Baby riley was premature. In hospital fir most if his short life surrounded by vaccinated individuals who could have most likely infected him from being asymptomatic carriers. Riley was NOT treated properly with vitamin c protocol- which his parents likeky knew about, more to that point in a bit. His mother talks about hiw long he had gone without a feed before he passed and he died from Pneumonia. Now Riley’s family was involved with Baby Danas family. They were part of baby danas pertussis page 7 years before baby riley even came along. 7 years on a group that also hosted reasobable hank aka peter teirney the worst vocal troll in australia. Baby rileys grandmother was an original SAVN member. Rileys memorial page was set up hours after his death complete with the professional logo ready to go. Theres more dodgy stuff that the LFR page does but regardless of that….. How much does one count as coincidence before one realises they are listening to propaganda? On March 17 2015, my husband Dave rang me at work. The second article- that IS baby Danas family. Now explain why our MSM is permitted to publish stories like these that are incorrect? The vaccinated catch and spread pertusus FACT. I dont doubt these kids were ill. I doubt WHO infected them and why they are permitted to spread false info when we KNOW the vaccinated spread pertussis. And its not a conspiracy theory- i went to the dana mccaffery memorial group MYSELF and took screen shots of the members list showing the hughes family added 7 years ago. The group is no longer searchable so i cant do that again & the person i sent the SS to had her kid drop the iphone in the toilet sorry. SAVN was formed around baby dana & the pertussis campaign. Almost a DECADE of vilifying antivaxxers for killing baby dana & others when the VACCINE DOESNT PREVENT INFECTION OR TRANSMISSION TO BEGIN WITH. These people were USED to push a FALSE AGENDA which the MSM is still promoting. When will you PV people start speaking up in public and demanding doctors and the media tell the truth about TOXOID vaxxes? Why are you happy to support ONE family while you hang HUNDREDS out to dry? Why do you think its ethical to hold babies up as poster children for a vaccine that doesnt even work in a way that would have prevented those 2 deaths. Its a damn tragedy any person dies from pertussis or a secondary infection. Both those babe’s should have been on IV C Therapy as soon as they got sick. I have been clear about why i think the official story does not add up. I am not here to be goaded into saying something dodgy so you can dob on me. You are the one who wont answer the question. Why are YOU happy to use deceased kids as poster children for a vaccine that doesnt prevent infection to begin with? Why arent YOU campaigning for truth and integrity in the media? Those who host and condone grubs are themselves grubs. Riley wasn’t born premature at all, he was born perfectly healthy at full term. We went out in public (park, beach, childcare drop-off for his sister etc) so to say he was “only surrounded by vaccinated individuals” is completely incorrect as the majority of the population are not up to date on their whooping cough boosters. I’d never heard of “vitamin c protocol” until antivaxers bombarded us after he died. 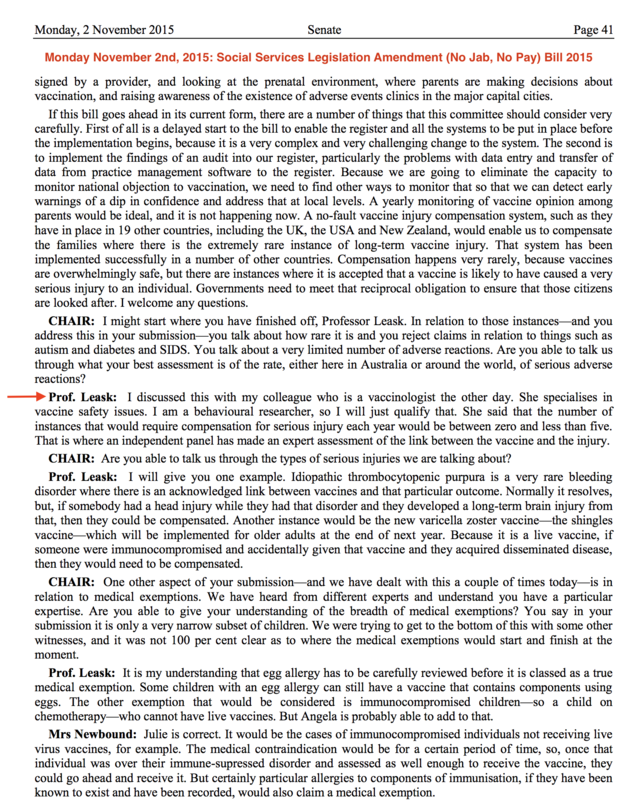 I then discussed this with Riley’s hospital and also with leading pertussis experts in Australia and the UK who said there was no evidence behind the so-called protocol. Riley was breastfed and then fed breastmilk through a NG tube when in hospital. Not sure what the feeding stuff has to do with it… babies with infections don’t feed as much and that’s what prompted me to take him to hospital. I’d never heard of the McCafferys til I received a brochure about whooping cough a day or two before Riley died, which had Dana’s story and their Facebook page printed on it. I reached out to them the same night Riley died because I was at a loss and I think I was in shock. We set up the Light for Riley page pretty early on because our personal profiles were being contacted incessantly and photos being taken by the media. We also thought a page was more beneficial for the fundraising we wanted to do for whooping cough research. The professional logo was done a few weeks later from a graphic designer who was touched by Riley’s story and offered to do it. [The initial logo was quickly made by] one of my friends in my mums’ group I think. She got each of them to change their profile pic to that for a few days/weeks and then we used it on the Fb page until the graphic designer contacted us and made the current one. Riley’s grandparents are not nor ever were original Stop the AVN members, that is the strangest claim of all. I did like the page years before all this happened because I have always been opposed to unscientific views and supportive of vaccines. This entry was posted in abuse, anti-vaccination, anti-vaccination dishonesty, Anti-vaccine thugs, australian vaccination network, AVN, Conspiracy theory, Immunisation, Light for Riley, meryl dorey, Pertussis, public health, skeptic, stop the australian vaccination network, Tasha David, vaccination and tagged abuse, Amanda Malsem, anti vaccination, Anti-Vaccination Australia, Anti-vaccine thugs, anti-vaccine trolls, australian vaccination network, Australian Vaccination Skeptics Network, Australian Vaccination Skeptics Network - HCCC Public Health Warning, AVN, AVsN, Belgin Arslan, Belgin Colak, Belgin Sila Arslan, Belgin Sila Colak, conspiracy, dishonesty, Judy Wilyman, Light for Riley, Manda Kathleen, meryl dorey, Tasha David, vilification. Bookmark the permalink. Keep up the good work. These people really are a despicable breed of human beings. No they are not called baby killers and abused. Secondly, spreading the fiction of widespread vaccine injuries and “deaths” is a pastime of towering immorality. Not one vaccine related mortality has been recorded in Australia for over forty years. If you’re going to attack innocent people in such a vile way please do it from a platform of facts, Amanda… or “Manda”. I used to be a member of that group but one of the admins blatantly doxxed me and another kicked me for pointing out she was attacking a provax member for something the AV members did constantly. They constantly make up new rules just to kick PV members out. And actually, they kicked out most of the remaining PV members due to this blog post. I didn’t last more than a day in that group. Non-aggressive my arse. The AVers there are allowed to be as aggressive as they please, but PVers get warned and then thrown out as soon as they are even slightly aggressive. Actually at the PVP page, we had a bit of a game going to see how long it would take each of us to get thrown out just for being PV. Most of use were gone pretty fast. This page is basically fishing for patents unsure of their views so they can convert them. It should be illegal for them to fish like this. But but but, a certain 4yo little boy with CP, is currently NOT being used as a poster child for the antivax movements, right? To be allowed to join. There’s also speculation that she gave the address of one of the admins of the group to an abusive x parter when this woman realised what was really going on.